As the US Senate continues to debate a bill that would allow it to weigh in on a possible nuclear deal with Iran, Republican leaders appear ready to vote on a proposal that will not require Tehran to recognize Israel as a Jewish state, among other things. Senate Majority Leader Mitch McConnell (R-Ky) did not explicitly say that he will file for cloture on the bill, which would bring an end to debate and block the chamber from voting on a series of controversial amendments, but his comments Tuesday suggested that he will only allow votes on less divisive amendments. 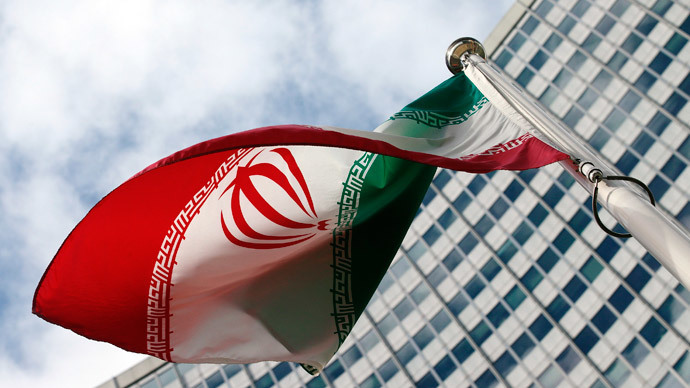 Generally speaking, the bill currently being considered by the Senate would allow Congress to voice its approval or disapproval of sanctions relief for Iran in the event of a deal. It would also require the Obama administration to file frequent reports with lawmakers on the status of any deal that goes forward. However, some lawmakers have been hoping to force further concessions from Iran by way of amendments. Some of the proposals that Democrats argue will sink any hope of seeing a bill through the Senate include one that would require Tehran to recognize Israel as part of any deal over its nuclear program. Another amendment would mandate that Iran close down all of its nuclear facilities and reveal the history of its entire program. The Obama administration has resisted adding requirements like these, arguing that they would torpedo the prospect of reaching a deal with Iran. As Democrats balked, negotiations between lawmakers continued, with McConnell hoping to strike some kind of deal that would permit votes on some amendments. On Tuesday, Sen. Bob Corker (R-Tenn), who is the sponsor of the bill, said he expects McConnell to file cloture and move forward with a bill this week that won’t feature votes on divisive requirements. Some Republicans were unhappy with the idea and voiced their frustration to the press. Already, the Senate rejected two other amendments. One would've classified any nuclear deal as an international treaty requiring the support of two-thirds of the Senate, while another would have denied Iran sanctions relief until it stopped supporting terrorism. There is still time for some type of compromise deal regarding amendments to be reached, but according to the Huffington Post, time limits could also play a role in any decision to forgo further debate. The Senate is still poised to consider a highway infrastructure spending bill and another bill aimed at reforming the National Security Agency’s surveillance program. Both measures need to be acted on this month.